Stop the press and have a look at this! How would you like to be the owner of one of these rather awesome Personal Planners? Uh huh. I hear you. The thought totally gets me excited as well. How could you not want to own one? 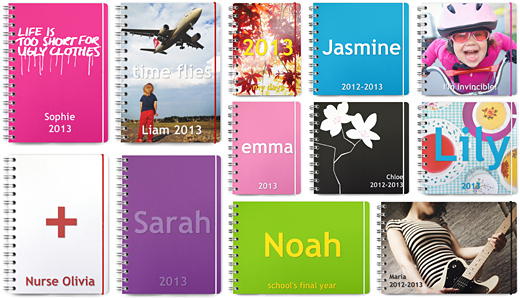 Especially since you are able to personalise the planner to suit your needs and preferences. And when I say personalise, I mean choose the colour of the cover, or even front image as well as all wording and fonts. 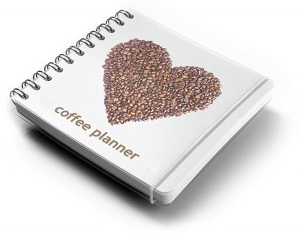 Which means if you wanted to, you could have your very own coffee planner. You know so you could make sure you scheduled in plenty of coffee catch ups with all your besties. Or if you were feeling particularly generous in nature, you may want to create the perfect personal planner as a gift for a certain someone you know, it really would make a great present and mother's day isn't that far away. The thing that I loved most about the Personal Planner was the level of personalisation. The birthdays of friends and family, as well as other yearly special events can be added to the inlay and you can even import some of the details from Facebook. Plus there is a range of clever boxes for to-do lists, exercise, idea of the week and weather. Of course it is up to you to choose what is in there and what is not. Alternate pre-school or kindy sessions? No worries, there is box to help you keep track of that as well. 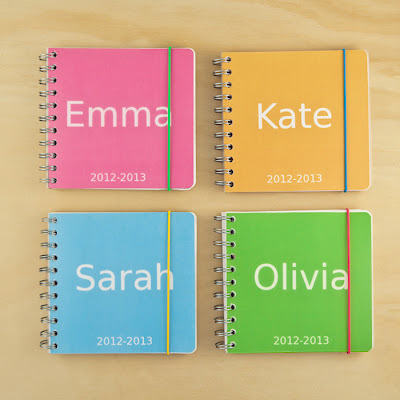 There are four sizes to choose from and you get to pick the start date, making it the perfect planner to get at any time of the year. Pretty easy really, head on over to the Personal Planner page on Facebook, give them a like and if you are really keen tell them I sent you. Then just follow all the instructions on the Rafflecopter below and hope that the rafflecopter gods like your name and number. Like I said easy as! This giveaway is open to everyone, including international readers. The prize, one gift card for a planner in any size to the value of $45 can not be exchanged for money. The winner will be announced on my Facebook page and notified on the 23/1/13 and has 48 hours to respond, otherwise another draw will take place. I was asked if I was interested in sharing this giveaway with my readers, in return I too shall get to personalise my own planner and I am beyond excited about that. All opinions are my own. Awesome giveaway. This is just what I need!! I already have one so no need to enter me. They're great. The level of personalisation makes them really useful. How cool! I'd be in heaven if I won this! I hadn't seen these before - they look great. Awesome giveaway Rhi! I love mine! They're awesome! Love the giveaway! Just not doing anything on facebook right now, boohoo, but otherwise would be in it to win it! Great planners. I used to be a planner type of person but then just stopped for some reason. Might have to get back into it if not for me but for my blogs sake. Thanks for hosting the giveaway! The planners look like they are so much fun! Wow. They are really cool!